Audacity audio editor and recorder 2.3.0 was released one day ago. Here’s how to install it in Ubuntu 18.10, Ubuntu 18.04, Ubuntu 16.04, Linux Mint 18 and 19. 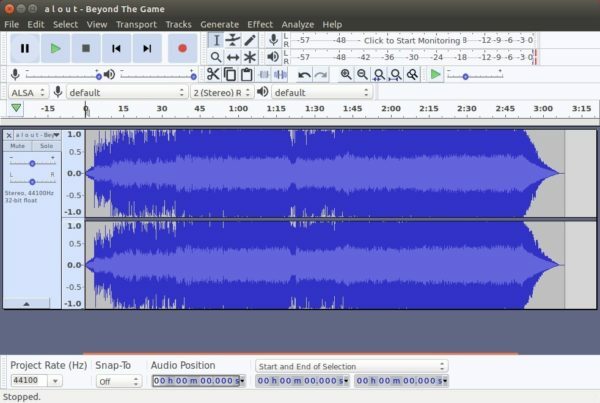 Audacity 2.3.0 for Linux is considered ‘experimental’ and may crash. I’ve revert the PPA package to Audacity 2.2.2. For Ubuntu 16.04 and higher, the new release package can be easily installed from this third-party PPA. Type your password (no asterisks feedback while typing) when it prompts and hit Enter to add the PPA. 2. 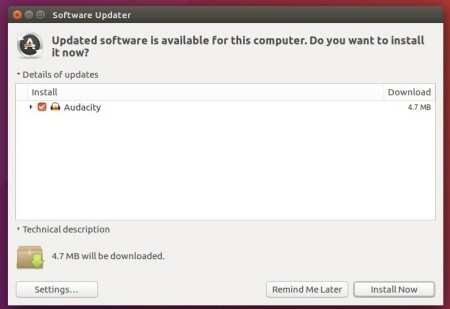 If you have a previous version installed, you can upgrade Audacity via Software Updater after adding the PPA. To remove the PPA repository, launch Software & Updates utility and navigate to ‘Other Software’ tab. 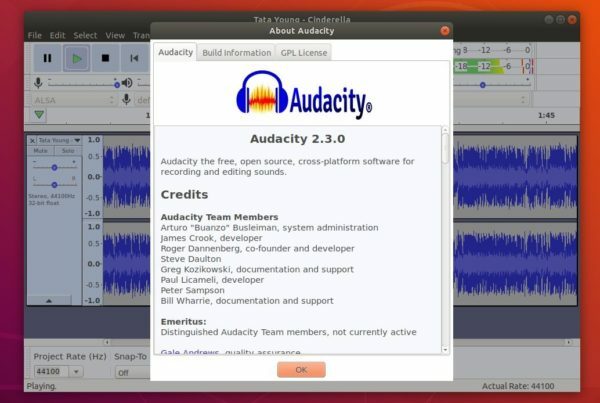 Audacity audio editor 2.2.2 was released two days ago with some improvements and several bug-fixes. 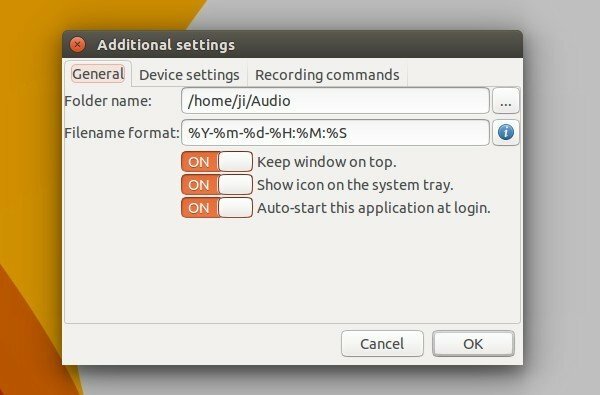 Here’s how to install it in Ubuntu 16.04, Ubuntu 17.10, and Ubuntu 18.04. Easier zooming in and out with mousewheel, new Zoom Toggle command, and context menu for vertical rulers. The Audacity team does not offer pre-compiled Linux binaries. Other than building from source, a third-party PPA is available with Audacity 2.2.2 packages for Ubuntu 16.04, Ubuntu 17.10, and Ubuntu 18.04. Input your password (no visual feedback while typing) when it prompts and hit Enter to add the PPA. 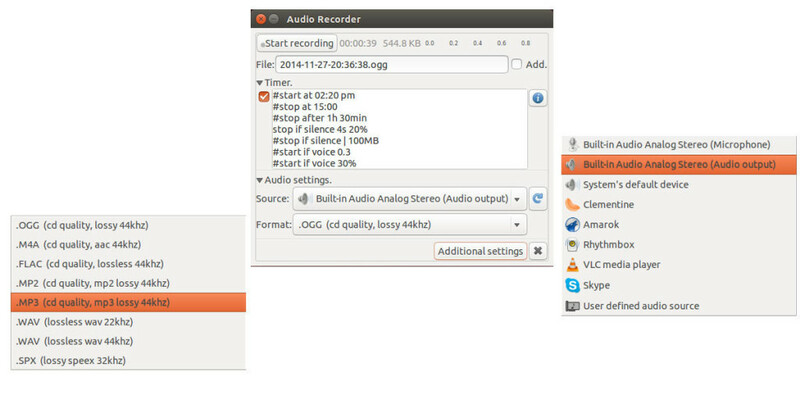 Looking for a sound recording software for Ubuntu Unity and/or Gnome Desktop? Well, Audio Recorder is a great free application allows you to record audio from your sound card, microphones, browsers, webcams, music players, Skype calls, and everything plays out of your loudspeakers. stop when the file size exceeds a limit. The software is available in PPA repository for Ubuntu 15.10 and Ubuntu 16.04. For those who don’t want to add PPA, select download the .deb package for 32bit (i386) or 64bit (amd64) Ubuntu 16.04 xenial, 15.10 wily from THIS PAGE, and click install via Software Center. For Ubuntu 14.04, and Linux Mint 17.x, an old version is available HERE. Ardour, free digital audio workstation application, has reached the 4.0 release for almost one month. The new release brings many technical improvements, as well as new features and over a thousand bug fixes. 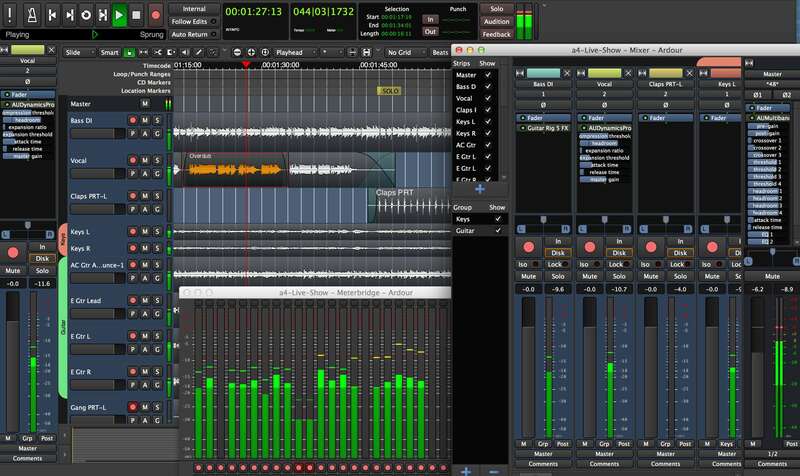 Ardour is a hard disk recorder and digital audio workstation application intended to be suitable for professional use. The 4.0 release has vastly reduced the memory consumption, brings better OS X support, updated user interface, JACK is no longer required, though it’s still usable with Ardour. For more changes, see the official news page. Or you can directly download the .deb installer from the PPA page. For help, please go to Ardour forums.